Last night Kraig and I met up with one of my childhood friends Meg at The Flatbread Company in Davis Square. The Flatbread Company is inside Sacco Bowl. What could be better than a place with a bar, pizza, and bowling? Not much. We ordered both of the pizza specials of the day. 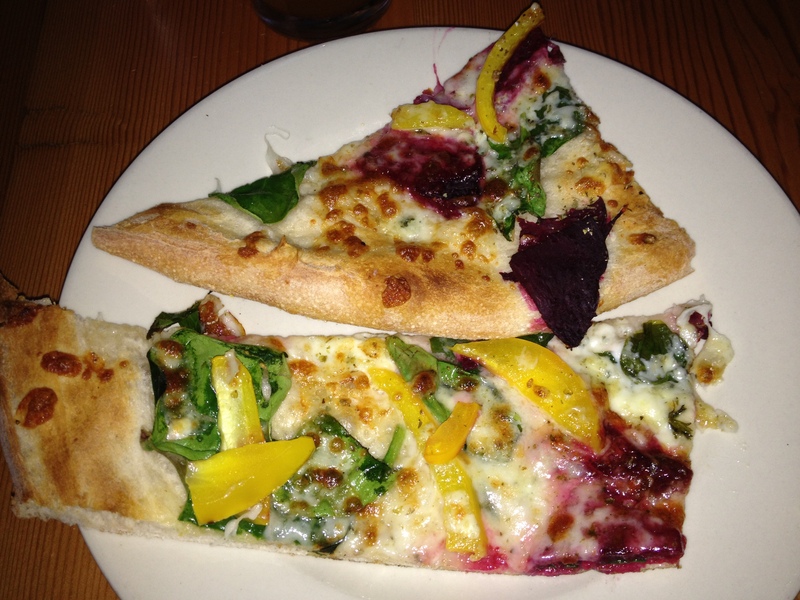 One was a buffalo chicken pizza special and the other was a special with BEETS. Kraig ordered the drink special of the day which was a La Paloma. 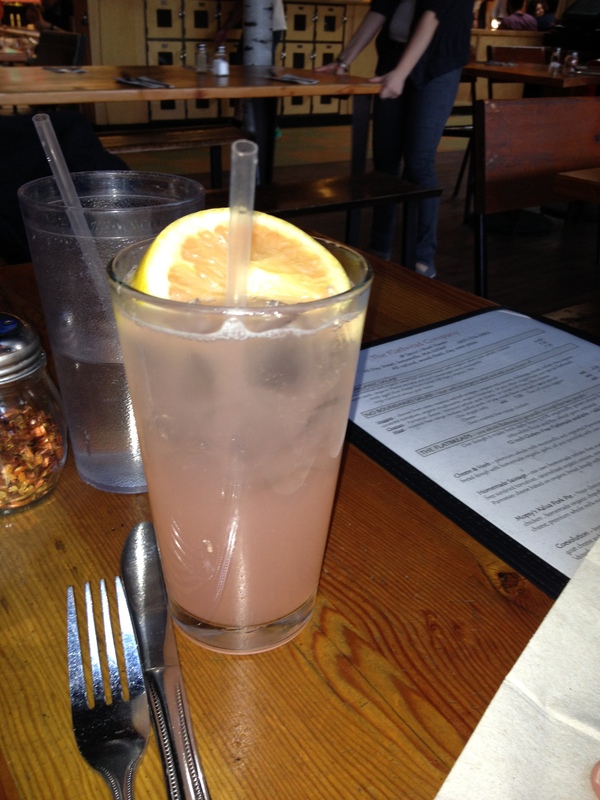 It has tequila, lime juice, and grapefruit soda in it. I’ve heard that people in Mexico drink La Palomas more than they drink Margaritas. I prefer Margaritas because I’m not much of a grapefruit fan. Meg and I opted for beers instead. I got a slumbrew beer and then the CBC Amber. Some tips for going out to eat at The Flatbread Company. 1. They take reservations for parties of 8 or more. 2. If you have a party smaller than 8 people, then you can put yourself on the call ahead list. Call the restaurant 30 minutes before you want to be seated and put your name on the wait list. 3. The Pizzas here are less calories because they slice it smaller. 😉 just kidding. I wish! 4. Expect to see a lot of cute rugrats here with their parents. Hiking Mt. Major in New Hampshire.